I was expecting a much denser, in-detail tome, so when I saw this odd little book I was taken aback. It seems almost like it would be better suited to be on sale in the White House gift shop than anywhere else. And I really struggled with the layout. The large type and double-spaced text might be easier on the eyes, but it reminded me of when I was trying to meet a length requirement when writing papers in high school. A good, if brief, read. 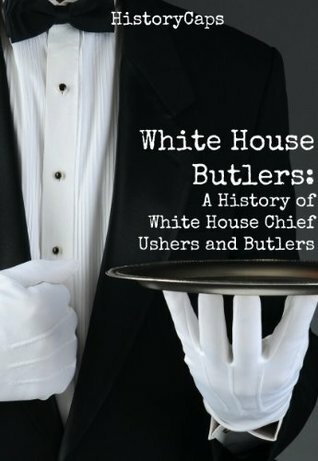 I would've liked a more complete history with biographies of all of the Chief Ushers. I have to take the construction of the book to task. There were several typos that would have been caught with a simple spell check, and a few more caught with a sharp eye. The formatting was underwhelming, with chapters starting not on a new, right-hand page, but anywhere after the previous chapter needed, even just a couple of lines down. I'd like to see more care taken to be neat. Waste of time and moneyThis is an article not a book. It was clearly not proofread and did not provide the in-depth, historical perspective I had hoped for. Do not waste your time and money! Mildly InterestingWhile White House positions are adequately outlined, the book is rather dull and humorless. Would not recommend as it's actually booring and not very informative. Barebones but accurate.Some grammatical errors detract from the information. It reads more like a biographical cheat sheet than a book, but the information is accurate.